Shopping for a new car around Kyle? You’ll find exactly what you’re looking for in the new vehicle inventory at Sterling Acura of Austin. We carry a wide range of models, including the popular Acura MDX as well as the fan favorite Acura TLX and its luxurious interior features. Ready to elevate your Buda commute? 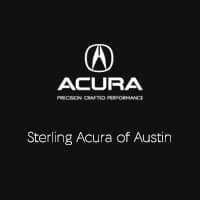 Visit Sterling Acura of Austin to explore all the Acura models for sale in Austin, TX. Why Choose a New Acura from Sterling Acura of Austin? Our dedicated team is always standing by to make sure you get behind the wheel of the model that suits you and your budget best. Contact us today to learn more and get the new car buying process started.